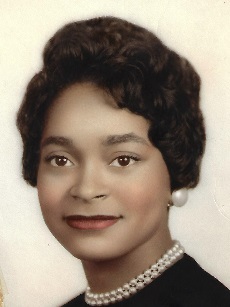 Gertrude Unise Payton was born on December 17, 1940 to Juanita Kimbrel and Anderson Williams in Palestine, Arkansas where she attended school in Little Rock, Arkansas before moving to Columbus, Ohio where she resided until her passing. Gertrude never had children of her own but had a hand in raising a lot of family members. She is preceded in death by her Mother Juanita Kimbrel, Father Anderson Williams, Sister Etta Williams (of California), Nephew Rodriccos Williams, and long time Companion Jerome Wilson. She is survived by her only Brother Micheal Williams Sr.
She leaves to mourn her passing; nephews Derrick Sr. (Jewell), DaJuan (Tori), Micheal Jr. (Leslie), Van, Shaveh, Terrence Sr., Travis, and Brian. Nieces; Leslita, LaToya, Shawnda, MichealDee, Shannon (Col’Ton), Ashley (Mike), and Etta. Great-Nieces; Dashe (Omar), De’Jare, Yanina, Le’Ticia, Dasaun, Destiny, Raven, Mykal, Leslita, Tierra, and Krystal. Great-Nephews; Derrick Jr., Darron, Mario Jr. Nashawn, Tremaine, and Tristen. Special Family & Friends; Debbie H., LeRoy Lamarr, Irene Smith (of Detroit), Albert Watson, Helen, Valeeria, God-Daughter Kathleen Angel, Ex-Husband Arthur Payton, ChiQoya, and Mrs Phyllis.